Just an amazing vintage book autographed with original ink sketch art of "Gomez". Rare to find in Authentic form. A real gem of a find! This book is a second edition printed in 1957 and was a gift to his friend Ned Allen in 1958, (an architect whom he called Snedens). The signature is accompanied by an original drawing at bottom left of Gomez Addams. Note he adds "Snedens 1958".. Book is a large 9x11". Also nice large bold 4" signature. Gomez sketch drawing is 5" tall. No dust jacket. Charles "Chas" Samuel Addams (January 7, 1912 – September 29, 1988) was an American cartoonist known for his particularly black humor and macabre characters. 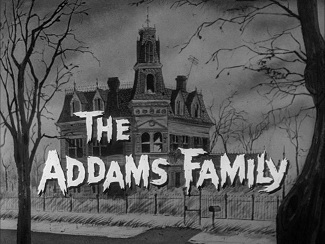 Some of the recurring characters, who became known as The Addams Family, became the basis for two live-action television series, two animated television series, three motion pictures, and a Broadway musical. He has been honored with the Yale Humor Award (1954) and a Special Edgar Award for "Cartoonist of the Macabre" from the Mystery Writers of America. His cartoons regularly appeared in The New Yorker, and he also created a syndicated comic strip, Out of This World, which ran in 1956. Addams drew more than 1,300 cartoons over the course of his life. Those that didn't appear in The New Yorker were often in Collier's and TV Guide. Addams died September 29, 1988, at St. Clare's Hospital and Health Center in New York City , having suffered a heart attack while in his parked car. An ambulance brought him from his apartment to the hospital, where he died in the emergency room. He was cremated and his ashes were buried in the pet cemetery of his estate "The Swamp".